Hello friends! Head on over to Kate Quinn Organics for their amazing friends + family 50% off sale. 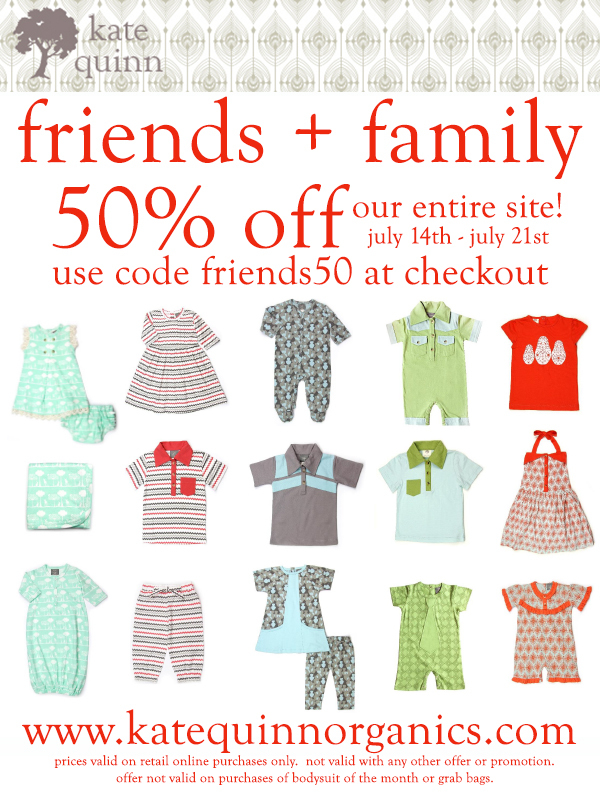 Simply enter "friends50" during check out. Happy shopping! Featuring stylish organic baby clothing and layette, organic children's clothing, and organic baby bedding made from the finest 100% certified organic cotton, Kate Quinn oOrrganics strives to care for the earth and its community without sacrificing fun and style.